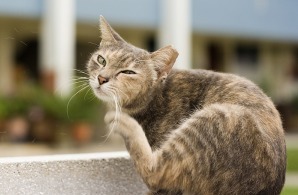 "8 Facts To Use Against Fleas..."
Getting rid of fleas on cats seems impossible at times. But it's not! Use these top 8 facts to your advantage. Some of these facts you may know already, and some are definitely not common knowledge. Make sure you are armed with all the information possible! 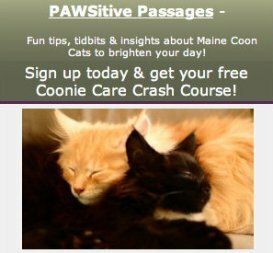 Using these tips will give you the edge on getting rid of fleas on cats and in the house. flea population is in the adult stage. That puts things in perspective! Let's say you find six fleas one afternoon. It's probably safe to say there are more adults around. So we'll assume there are fifteen adults in the house (though there are probably more). That means there are 100 fleas in the house, including eggs, larva, and pupae. Once they start hatching, they will each multiply at an alarming rate. # 7: Each female flea will lay up to 50 eggs per day! Wow! No wonder it's so hard to get rid of fleas. So if you have 10 fleas in the house, and half are female, that means 250 eggs will be laid each day. After just 3 days of this, there will be 1,750 eggs/larva in the house. Strange but true! This tip can really help you find out how bad the problem is. Walk around the house in white socks and fleas are sure to jump on you. This is a great way to test an area. It's harder to grab them when they are clinging to the material, though. If you miss, they'll jump away quickly. It might be good to walk to the bathtub or outdoors before trying to catch a flea that's sitting on your sock. This is one of the reasons it seems so impossible to get rid of fleas. Even when it seems like they are all gone, there are more in the pupal stage that are safe and secure in their casing. Fleas need to feed within a short time of hatching. They can wait in the pupa for months, and when they sense warmth and vibrations they emerge, hungry. The fleas that are in the pupal stage have a protective coating. They will hang out in crevices, in furniture cushions, in carpets, and be largely unaffected by flea products. If you have an outdoor dog and an indoor cat, you'll still need to treat both pets. Killing fleas on cats can be more difficult than getting rid of them on dogs. Fleas just love cats. If a flea enters a house on ant other pet or person, it will find the cat. That's why fleas on cats are such a problem. Vinegar is an effective natural method. There are a few ways that vinegar kills fleas on cats. You definitely want to use this in your arsenal of weapons against fleas! Getting back to the pupal stage, the only way to kill those fleas is to vacuum. Not only does it kill them, but the action of vacuuming the area stimulates them to hatch. Then they are susceptible to bombs and other flea products. This is the single most important fact for anyone struggling with fleas on cats. Scientists have determined that the suction action of the vacuum does indeed kill fleas in all of their life stages. A study reported in Science Daily concludes that adult fleas were killed by the vacuum with a 96% success rate, and younger fleas with a 100% success rate. The results were so conclusive that they were repeated several times just to make sure they were correct. The scientists surmise that the suction action, along with the bristles of the vacuum result in fatal damage to the body of the flea. The Battle Can Be Won! When it comes to pet health and getting rid of fleas, we have found a complete approach to work best. With the help of some very effective products, the fleas were gone. 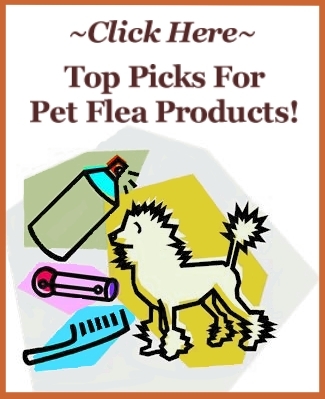 You can visit our page on Top Pet Flea Products to see what we used and compare some of the top flea killers on the market. For those who are battling with fleas on cats, hopefully these top tips have provided a little extra information. Persistence and lots of vacuuming seem to be the keys to getting rid of fleas on cats!